“You don’t have to drink that if you don’t want to.” my future wife explained rescuing me from drinking something that was not appealing to my taste. I had been drinking San Miguel beer with my future wife’s eldest brother and singing karaoke in an attempt to bond with my future in-laws. The beer to me was very good, but when my future brother-in-law offered the white milky looking tuba I had drunk just a little. The tuba tasted real bad to me. My fiancé had noticed by the look on my face that I had not liked the taste and had relieved me of the burden of drinking something I found unappealing. In fairness to the tuba wine I really never have liked the taste of wine. I was prepared to force down the tuba wine as to not insult my host, but my love had saved me. When I first tried the tuba I made two assumptions about it that were both false. My first assumption was that the alcohol content was very high like white lightning. It turns out the alcohol content of tuba is only about 4% to 5% which is very similar to beer. 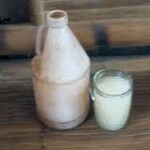 Another assumption I made is that tuba wine was made from fermenting the milk from the coconut. 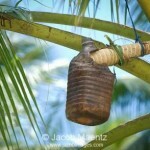 The truth is that tuba wine is made from fermenting the sap of the coconut flower. 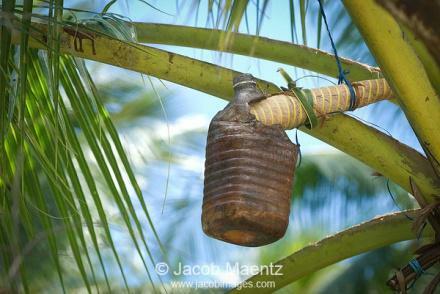 The sap is taken from the coconut flower and put in a container after a few days sediment develops on the bottom of the container. The liquid is separated from the sediment which is discarded. The process is repeated until the tuba reaches basically the desired form. This is a very basic description of the process that I am summarizing from an article I looked up on-line. I would love to read a first-hand description of the process if anyone has one in the comments section. 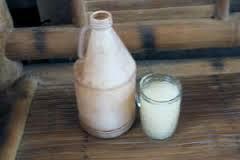 Had I grown up in the Philippines I probably would have developed a taste for tuba wine because it is a very inexpensive local alcoholic beverage. My recollection of my first experience with drinking beer back in 1983 is I did not initially like the taste; I drank to become drunk. Presently I never drink enough to become intoxicated, but I do enjoy the taste of beer. I have never really acquired the taste for wine. My next vacation I hope to give tuba wine another try and perhaps the red variety. I don’t know why I have a fascination for homemade alcoholic beverages maybe it has to do with my Southern heritage. 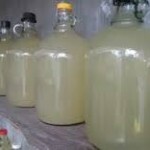 Even though I have never seen a moonshine still, the non-traditional production of alcohol is interesting to me. If you are familiar with the old country song, “A Country Boy Can Survive” by Hank Williams, Jr. that probably sums up how I feel about people who are self-sufficient who take what they have and make what they need or want without help from outsiders. I am somewhat of a hybrid Southerner I was raised in the city and my mother’s family was city, but on my dad’s side the family is country so I can relate to both and appreciate both lifestyles pretty well. We lived in the city but my Dad took me fishing, frog gigging and rabbit hunting. He also had me prime enough tobacco on the family farm he grew up on to find out that it was not the way I wanted to make a living. In college I had a professor who after her class was finished invited the class to a party featuring her husband’s homemade beer from a kit he got in the mail. It wasn’t bad tasted kind of like beer. 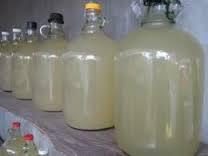 As usual I have written this article more to learn than to teach please share any information you have on the production of tuba wine or any other homemade alcoholic beverages particularly if made in the Philippines in the comment section. 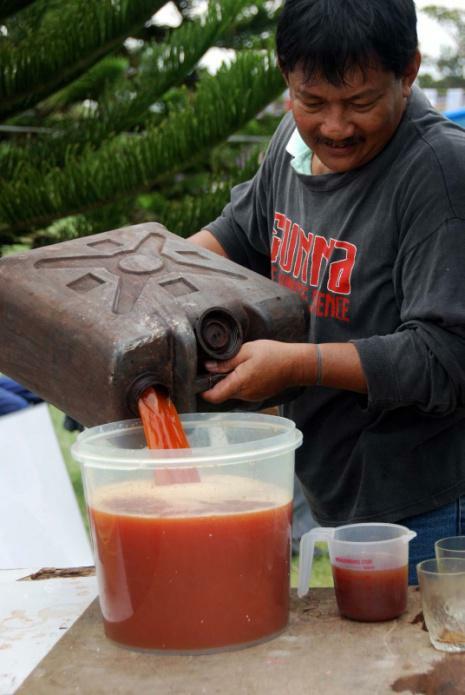 While personally I did not enjoy my first experience with tuba wine I do find it an interesting unique traditional Filipino beverage. I am a firm believer in not judging what others enjoy just because it is not appealing to my taste buds does not mean others might not enjoy tuba. Jay Stainback lives in Raleigh, NC, USA and is hoping/planning to retire to Bohol in about 10 years. He is married to his beautiful Filipina wife Juliet whom he met on-line. They were married 12/7/02 and have two boys’ ages 9 years old and 5 years old. Jay has visited the Philippines 4 times the first time 1 week, the 2nd time 2 weeks, the 3rd time for 3 weeks, the 4th time 4 weeks spending most of their time in Bohol. Good to see you back among the living Bob! This us an automatic post! I am still layed up, but feeling a bit better. I think some people mistook me for you…oh well. I have been called worse things than Bob Martin in the past and I am sure I will be called worse things in the future. A lot of prayers and well wishes are going out to you some from me. Not there yet, David Bennett, thanks for your concern. What happened to you Bob, get well soon! 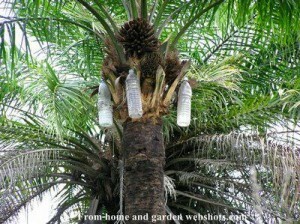 I could never climb those trees, I tried numerous times. Those bulky buds where leaves are attached to were too constricting for me, I couldn’t get through it. I have never tried to climb the coconut tree, but I have been impressed and a little scared watching members of our family climb them. Some of those trees look to be about 60 feet tall. Thanks for your comment! Not yet, Millet Ty, but I feel significantly better today.